A stunning mix of pink and vibrant flowers, skilfully arranged and tied by hand and delivered in a water bubble and presentation box. Beautiful lilies nestle with pink rose alongside pretty gypsophila and delicate germini. Also featuring lisinathus, chrysanth blooms and lush foliage. 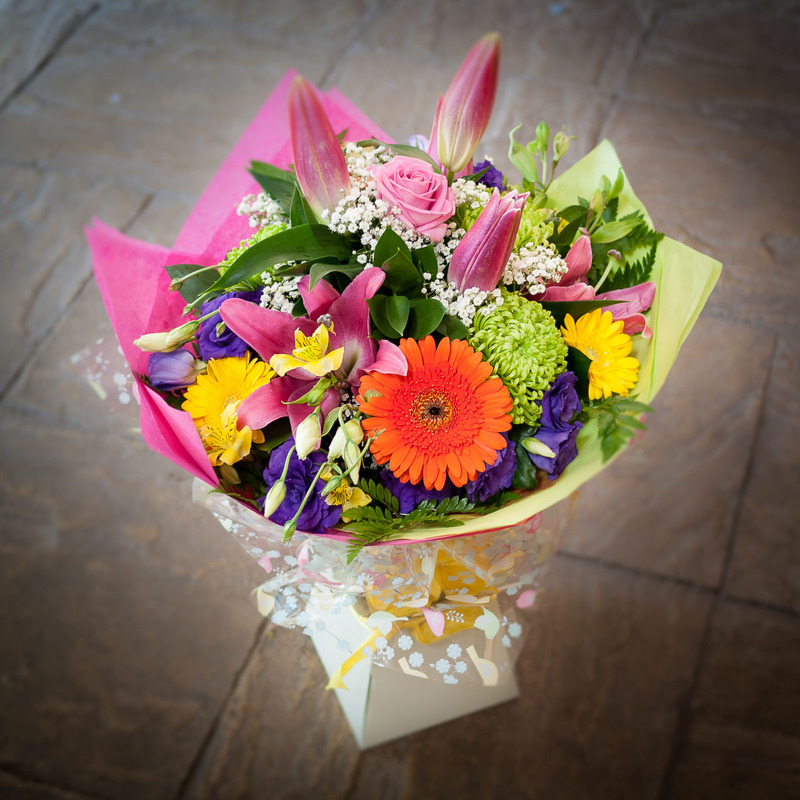 Created in house this hand tied is available for local delivery only. Flower varieties may vary slightly according to seasonal availability.